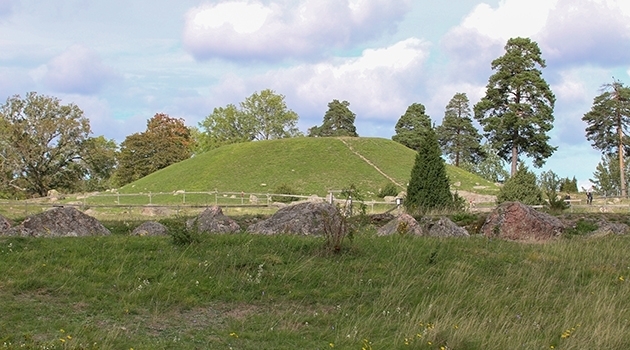 Håga, with its dominant burial mound, is Scandinavia’s most significant Bronze Age site. The burial mound is about 3,000 years old. Håga is situated approximately three kilometres west of central Uppsala and is dominated by a large burial mound from the Bronze Age dating back to about 1000 BCE. Around the burial mound there are several burial grounds, cultic buildings and remnants of settlements from different epochs. 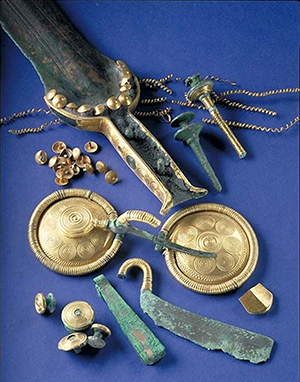 So far only a small portion of Håga has been excavated, although it is clear that Håga is the most significant Bronze Age site in Scandinavia. 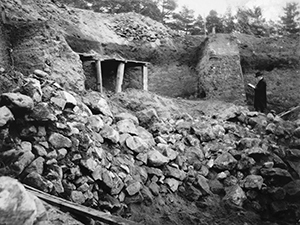 The largest excavation of the burial mound took place in 1902–1903, when more than a third of all gold discoveries from Sweden’s Bronze Age were found. “Håga and the burial mound are not just any old place. This is an incredibly exclusive grave that points to what an important site Håga was during the Bronze Age,” says Anders Kaliff, Professor of Archaeology at Uppsala University. Kaliff and Terje Østigård, Associate Professor in Archaeology, have written the book Bronze Age Håga and the Viking King Björn: A History of Interpretation and Documentation from AD 818 to 2018. The book translates to English for the first time documentation from the large 1902–1903 excavation of Håga Mound, also commonly known as King Björn’s Mound. The way the grave was constructed points to remote contacts and influences from distant lands, including Denmark and Germany. The burial mound is made up of different layers, with rituals performed at various levels. The body was first cremated; then the bones were buried in an oak chest in a burial chamber. Finally, the burial chamber was covered by soil, and at that stage animals and people were sacrificed. The burial mound contains the remains of at least three individuals who have been sacrificed as part of the burial ceremony. Moreover, clear evidence of ritual cannibalism has been found in the form of a split femur from a woman with the same marks as the animal sacrifices. For 3,000 years Håga was a headland protruding into the sea, giving it a very strategic position. 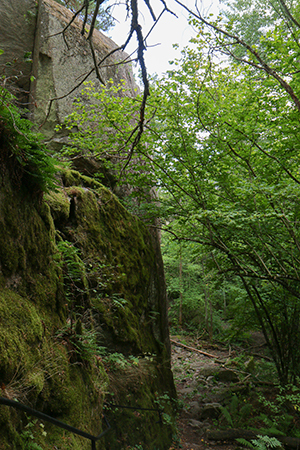 About three kilometres south of Håga is Predikstolen, one of Uppland province’s largest ancient castles. The oldest phases of Predikstolen are about 200 years older than Håga Mound, but it was probably used while the mound was being built and also later. Håga’s historical importance also is demonstrated through one of the oldest traces of iron production in Sweden, which has been unearthed at Håga. Håga has been a significant burial and ritual site over a long period, a significance that continues into the Viking Age and then was assumed by Gamla Uppsala. In Håga there are two cultic buildings, or cultic enclosures, as researchers prefer to call them. Cultic enclosures are symbolic buildings. There are no entrances. They are shaped like buildings, but researchers have not found any post holes for poles that can support a ceiling. The large cultic building is contemporaneous with Håga Mound and had been in use for several hundred years. There is also a smaller, older cultic building from the early Bronze Age. The book Bronze Age Håga and the Viking King Björn: A History of Interpretation and Documentation from AD 818 to 2018 can be downloaded as a PDF file.